Certainly one of my favorite waterfront venues for a Nassau County, Long Island wedding is the Bridgeview Yacht Club in Island Park, NY. With it’s location on the canal and it’s private boardwalk on the water I find it reminiscent of one of New York City’s most elegant waterfront wedding reception venues, The Lighthouse at Chelsea Piers. 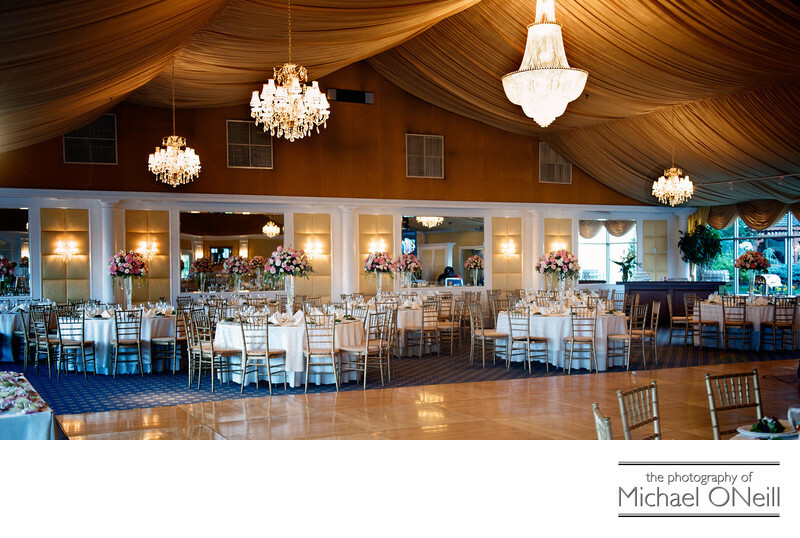 The expansive facility that is The Bridgeview Yacht Club has so much more to offer. The main ballroom pictured here overlooks the water and is connected to the main building by a beautiful covered indoor walkway. The main building features a waterfront cocktail hour room with a huge bar as well as a beautifully elegant stairway that rises to an expansive upstairs bridal suite with it’s own deck overlooking the water. As you look around this web site you will find many wedding pictures created here at Bridgeview Yacht Club. I have a lot of experience working here at this extraordinary location and would love the opportunity to create the memories of your special wedding day here.